It was not surprising that Detroit Tigers scout Billy Doyle wanted to talk with right-handed pitcher Bob Gillespie after the game he saw in 1939. Gillespie's team had won, 15-1; Gillespie had struck out 21 batters and had hit a single, a triple, and two home runs. Robert William Gillespie was born in Columbus, Ohio, on October 8, 1919. His parents, Julia and George, and his four grandparents, were all Ohio natives. George was a truck driver in Columbus. Bob had a brother two years older, Clarence. Ten years later, living in Marion, Ohio, at the time of the 1930 census, Julia was employed as a cook in the public schools and George was working as a carpenter and doing odd jobs. Gillespie grew to become 6-feet-4 and is listed at 187 pounds. His first year in professional baseball was in 1940, and he did indeed pitch in two games at Beaumont, for a total of one inning. He gave up two hits and two bases on balls. Most of the year was spent in the Class-C East Texas League pitching for the Henderson Oilers. He won his first seven decisions, and at season's end was 18-9 with a 3.73 earned run average. In 229 innings pitched, he walked 177 batters and gave up 168 base hits. He struck out a league-leading 224 opposing batters. In 1941 he pitched three innings for Beaumont. Most of his year was in the Class-B Piedmont League, pitching for the Winston-Salem Twins (and playing for the same manager he'd worked for in Henderson, Jake Atz Sr.). He won six games and lost 15, reflecting the team's last-place finish, with a 4.14 ERA. After the season, he married Zelma Burwell on November 5. Near the end of March 1944, things changed. On the 27th, O'Neill received word that Gillespie "has been classified in limited service by his draft board" and he said he would report to the Tigers.5 He reported, made the team, and was used seven times in relief, from his May 11 debut through June 16. His debut was at Yankee Stadium. He entered a game the Yankees were winning, 5-1, after six innings. Gillespie pitched a scoreless seventh and eighth, allowing just one hit. On May 15 the score was tied, 2-2, after 8 ½ innings at Shibe Park. Gillespie came in to pitch the ninth. He gave up one hit and walked two Philadelphia Athletics batters. He had two outs, but the bases were loaded. O'Neill brought in Rufe Gentry to try to get the final out; Frankie Hayes hit a grand slam to win the game. (It was the second game in a row that Hayes had won with a two-out home run in the bottom of the ninth.) Gillespie was, of course, tagged with the loss. It was his only major-league decision of the season. He worked 11 innings (walking 12 and striking out four) in the seven appearances with a 6.55 ERA. On June 19 he was optioned to Buffalo, where he was 8-9, 4.26. He was a holdout in 1945, for reasons that were reported as unclear at the time. The International News Service said his "dissatisfaction is something of a mystery. 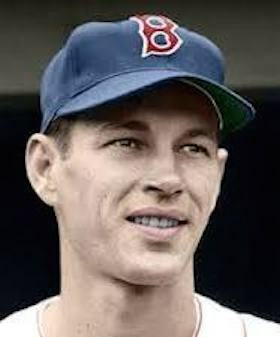 "6 Gillespie did join the Tigers for spring training, albeit late, and pitched for Buffalo again in 1945, with a record of 7-15 and an ERA of 5.03. In 1946 he spent another year in the minors, this time for the Double-A Dallas Rebels of the Texas League. He was 14-12 with a 3.21 ERA, throwing three shutouts during the season. Dallas won the Dixie Series, sweeping the Atlanta Crackers in four games. Gillespie, working in relief, was the winning pitcher in two of the games, including the deciding game. On November 1 the Chicago White Sox selected Gillespie from the Tigers in the Rule 5 draft. The White Sox took him to the majors for two years running, 1947 and 1948. White Sox manager (and future Hall of Famer) Ted Lyons looked him over and saw some real promise there. Gillespie won his first major-league start, a 3-2 win over the Cleveland Indians on April 25. He got off to a good start and through June 8 was 4-0 with an ERA of 2.64. He won a 1-0 10-inning game in Philadelphia on June 22, improving his record to 5-1 – but then couldn't win another game all year long. By the time it was all over, he was 5-8 with a 4.73 ERA. He'd walked 53 and only struck out 36. During the offseason, he had hernia surgery, then suffered a relapse during spring training. In his first game back, he relieved in the sixth inning, with the Athletics leading, 9-1. He pitched two scoreless innings, but then gave up seven runs in the eighth. He appeared in 25 games, with six starts, but he never won a game, with the hernia causing him to cut back considerably. He was 0-4, 5.13. On October 2 the White Sox released him outright to Memphis. On December 8 the Memphis Chicks sold his contract to the Sacramento Solons of the Pacific Coast League. Gillespie joined the Red Sox at Sarasota for spring training. He was pleased at the prospect of making the team. "This is the first chance I've had the opportunity to be with a potential pennant-winner, and I'd like to try to help the club along the way. I think it was my biggest break in baseball when the Red Sox got me from Sacramento after last season….This is the kind of chance every kid wants to play baseball dreams about. "9 The Red Sox were stacked with sluggers, but lacking pitching. He was one of 15 pitchers manager Joe McCarthy was looking over. Gillespie made the team out of spring training, but the realization of the dream lasted for 10 batters in 1 1/3 innings. It was in Boston during the first game of a May 11 doubleheader against Detroit. The Tigers had a 5-0 lead through six full innings. In the top of the seventh, they scored five more times off starter Joe Dobson and reliever Gordie Mueller. With two outs and the bases loaded, Gillespie was called in. He got his man out, on a fly ball to third base. Had he not come back for the eighth, he would have felt good about the outing. He got the first out in the eighth, but then issued a walk and Hoot Evers hit a home run. Another walk, the second out, a single, and a third walk, and the bases were loaded with two outs. Gillespie walked yet another man, forcing in a run. Finally, he got the third out on a grounder to second base. On May 15 the Sox optioned out Mueller and called up Jim Suchecki from Louisville. Gillespie was returned to Sacramento, where he was 12-12 in 1950 with a 3.30 ERA. He devoted two more years to the pursuit of baseball, again with Sacramento in 1951 (4.24 ERA, and a 9-11 record), and a final season in the Carolina League (Class B) with Reidsville, where he was 10-11, 4.44. After baseball, Gillespie worked as the foreman in the newspaper pressroom of Piedmont Publishing of Winston-Salem, North Carolina. He died on November 4, 2001, in Winston-Salem and is buried there. In addition to the sources noted in this biography, the author also accessed Gillespie's player file and player questionnaire from the National Baseball Hall of Fame, the Encyclopedia of Minor League Baseball, Retrosheet.org, Baseball-Reference.com, and the SABR Minor Leagues Database, accessed online at Baseball-Reference.com. 2 "Sox Rookie Pitcher May Land Place," Christian Science Monitor, March 22, 1950: 10. 3 "O'Neill Has High Hopes for Rookie Hurler Gillespie," Omaha World-Herald, December 27, 1942: 18. 4 Harry Grayson, ""O'Neill Talks About Beaumont's Outfield…," Daily Herald (Biloxi, Mississippi), June 15, 1943: 2. That it was an arms plant in which Gillespie had worked was mentioned in an Associated Press release. See "Tigers Option Gillespie," Boston Herald, June 20, 1944: 14. 5 INS, "Bob Gillespie To Join Detroit Team," Evening Post (Charleston, South Carolina), March 27, 1944: 6. 6 INS, "Threatens Fines," Register-Republic (Rockford, Illinois), March 30, 1945: 11. 7 John Drohan, "Gillespie Is Dark Horse in Red Sox Pitching Plans," Boston Traveler, January 12, 1950: 21. 8 Associated Press, "Bob Gillespie Sold to Bosox," Los Angeles Times, October 13, 1949: C3. 9 "Sox Rookie Pitcher May Land Place."